Storm Reid plays Meg Murry in "A Wrinkle in Time." Storm Reid, the 14-year-old star of Disney's "A Wrinkle in Time," which opens in theaters nationwide on Friday, is living her best life. She has been endorsed by Oprah Winfrey, who said Reid "will become for this generation what Judy Garland's Dorothy in "The Wizard of Oz" was for previous generations." She has learned from the sci-fi fantasy flick's cast of A-listers, including Reese Witherspoon, Mindy Kaling and Chris Pine, while the movie's Emmy-award-winning director Ava DuVernay called Reid a "generational talent." With so many people mesmerized by her performance, it's hard to imagine any other actress inhabiting "Wrinkle's" lead role, but that almost happened, thanks to Reid's prior commitment to a Disney Channel series. "I couldn't see anyone else besides her in my own head and heart once I saw her audition," DuVernay explained in the February 2018 issue of Essence Magazine. She decided to fight for the young starlet to appear in the film instead of trying to find another lead. 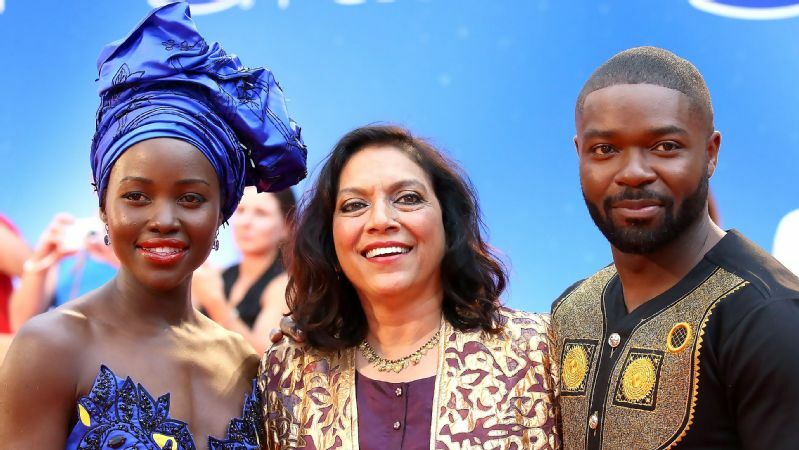 "She was so perfect in the role," DuVernay added. In "A Wrinkle in Time," Reid plays 13-year-old Meg Murry, a gangly teen who's trying to find her place in the world and deal with her father's absence. After learning that her dad (Pine), a scientist, has been missing for four years, Meg heads out on an interstellar adventure to look for her father and save the world from evil. The role was a dream come true for Reid, who loved Madeleine L'Engle's 1962 eponymous novel, which the film adaptation is based on. "I'm so excited to share this piece of art and magic that we created with the world," Reid tells espnW. Though she could relate to Meg's journey of self-discovery when she read the book in school, Reid never envisioned this would be her first starring role. "I wouldn't say I imagined it with this film because Meg was written as a Caucasian girl. So even though I loved the book I never saw myself as Meg," the Atlanta native says. "But I did see myself being able to be a lead in a role when I became a little older, so it was shocking that I was able to get this opportunity to do something so special and represent girls who look like me." To bring the coveted role to life, Reid had to go through months of auditions and learn how to perform in front of green screen, in a harness and while using a robotic motion-control system to fly through the air. But in the end, it was all worth it. "Once I got the hang of it, it just was so much fun, and I'm glad I was able to learn that stuff so I could take it onto my next film set," she says. 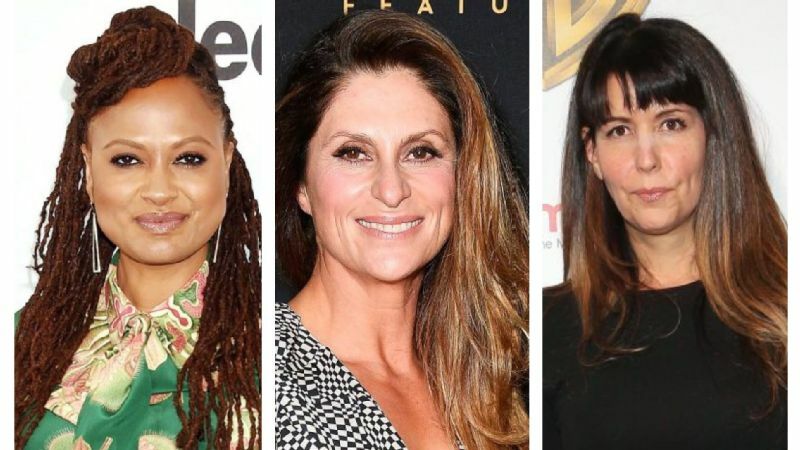 The decision to create an inclusive film starring a little black girl and an extremely diverse cast was a conscious one for DuVernay, who has been outspoken about the need for more stories from women and filmmakers of color. 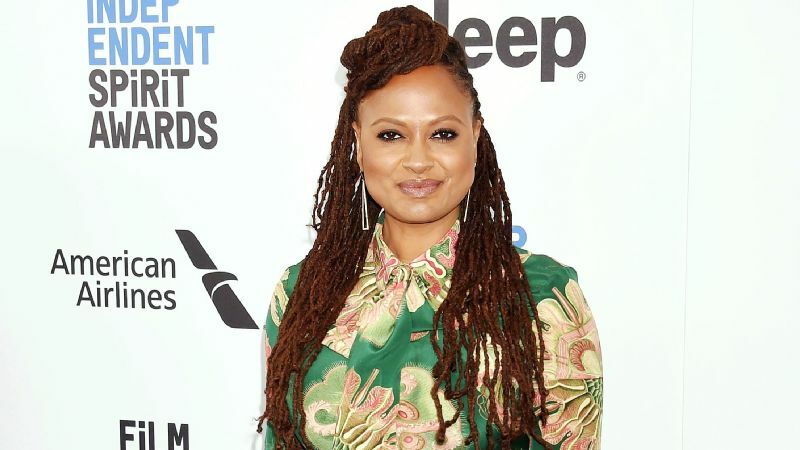 "I'm excited to share a sci-fi vision through the lens of a black woman, because so often we're watching sci-fi films through one specific lens -- a predominantly white male lens for decades and decades," DuVernay said last November at New York Magazine's Vulture Fest LA. "There are no black or Southeast Asian 'Mrs.' in the book. In the book, the girl is not biracial and the little boy is not a little Filipino-American boy," she continued. "We took liberties to be true to the spirit, but we freed ourselves and freed our imagination to bring these fairy tales and fantasies into the current time, which is one that should be much more inclusive." "A Wrinkle in Time" comes on the heels of Marvel Studio's latest hit, "Black Panther," which was directed by DuVernay's good friend, Ryan Coogler. 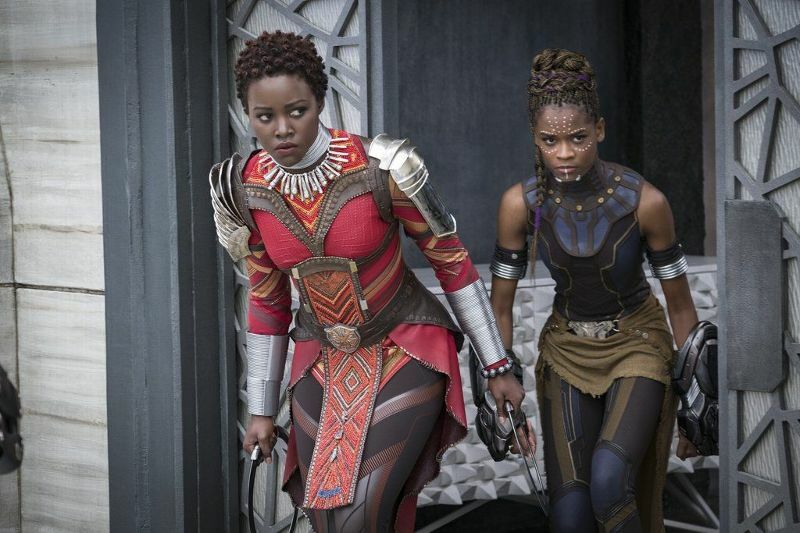 Both films are backed by Disney (ESPN's parent company), helmed by black directors, include inclusive casts and crews and appeal to audiences who not only crave entertaining movies but also want to see on-screen depictions that mirror the real world. Reid said both films are proving that diverse narratives deserve to be developed. 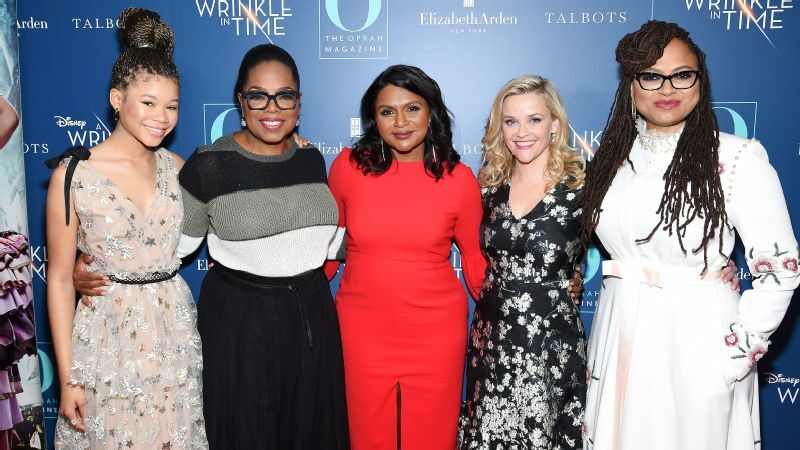 From left: Storm Reid, Oprah Winfrey, Mindy Kaling, Reese Witherspoon and Ava DuVernay attend a screening for "A Wrinkle in Time." "We're showing the world that we are important and we can contribute to the greatness of the world," she says. "To have a film with so much inclusion and representation is important because I feel like representation matters." While Reid enjoyed the world of Wakanda and gives it props for breaking barriers, she also says what sets "Wrinkle" apart is that regular teens can see themselves in the film. "I'm so proud of 'Black Panther,' which is an amazing superhero movie, [but] 'A Wrinkle in Time' has a little black girl at the center of it, and she saves the world. Meg doesn't have any superpowers. She just uses her love and her smartness and her vulnerability to save the world," she says. Being a role model for young women is something Reid is passionate about, and the teen says she wants to use her talents to bring even more positive narratives to movies. "I would love to keep playing roles where I get to inspire young women and I get to uplift them and tell their stories and tell important stories that haven't been told," she explains. It isn't just wishful thinking, either. Reid formed Seed & Wings Productions with her mother, Robyn Simpson, and sister, Paris, and the trio already have a few projects in the works. "We have some scripts that are very exciting, and I don't want to spill the beans on them, but they go back to that young-adult space, where it is empowering and it is an impactful story." 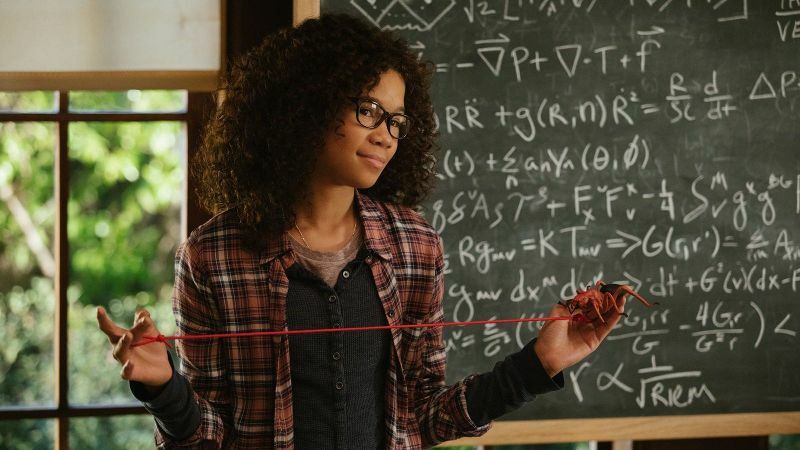 But for now, she hopes "A Wrinkle in Time" connects with moviegoers and encourages them to follow their dreams. "I want [audiences] to feel empowered and inspired and like they can do anything they want to do," Reid says. "I'm just so proud of this film, and I hope people just feel the love that we put into it and they come of out the movie feeling more inspired and more confident."